Modern Americans probably have more food choices than any other group in the history of the planet Earth. I was told about a Japanese student who went to an American grocery store for cereal. Seeing the selection in the aisle was so overwhelming they went home without it that day. For people used to such plenty and variety, beans and rice alone is clearly not a long-term menu plan. But keeping that much variety in one home (or even one store!) is not realistic. Worse yet, it can be hard to figure out a way to store some of our “regular” foods for the long-term so we can maintain a semi-normal diet in an emergency. 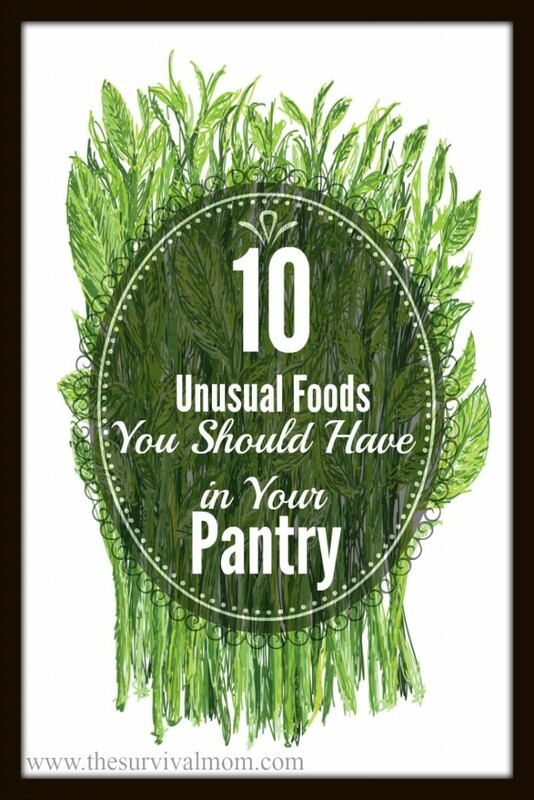 So, what “unusual” foods should you consider adding to your pantry? The products listed below are all shelf-stable, meaning they do not need to be refrigerated. This product is a sure-fire way of having shortening on hand for all your baking without having to worry about it going rancid. It’s a necessity for making pie crusts and biscuits. Even more important, you can sprinkle some in a hot skillet, and when it melts, you can pan fry! What a concept! Shortening powder is available from Augason Farms. Peanut butter has an amazingly long shelf life, even after it’s been opened, but powdered peanut butter is still very useful. Every morning I add a tablespoon or so to my protein drink. It adds all the flavor and nutrition of peanuts without any of the fat found in peanut butter. You can even get it with chocolate already mixed in! This product won’t give you exactly the same flavor of butter and it doesn’t quite melt, but it’s still a handy addition to your pantry. Once reconstituted and chilled, it hardens and has the same consistency of refrigerated butter. You can add it to any recipe that calls for butter — just increase the liquid by a small amount. The first time I read about this product, I said, “Huh? ?” Now I think it’s indispensable because it’s a cost-effective way of having tomato paste and tomato sauce on demand and save vast amounts of space at the same time, and it’s easy enough to make yourself. I know Textured Vegetable Protein isn’t everyone’s cup of tea, but it comes in handy when you want to add a little more protein to a casserole or soup. Just a handful can add the flavor of chicken or taco meat (a little can go a long way), and you can’t beat the price. You can still enjoy cheese enchiladas while fending off zombies with this great product! I first sampled FD cheddar cheese a few years ago and was amazed by how beautifully it melts. When you buy this in bulk, you have the main ingredient (besides macaroni) for mac-and-cheese but also cheese sauces for veggies, casseroles, and the all-important survival food, nachos! Yes, grapes. Canned grapes have never quite caught on (ewwww! ), dehydrated grapes are raisins, but FD grapes have the same color, shape, size and flavor as fresh. They’re just crunchy, and they make a great, healthy snack. Once opened, though, they will absorb moisture in the air and go from crunchy to sticky and chewy. You may want to repackage them in canning jars to retain the crunchy texture. Now, this won’t give you that wonderfully cool dollop you’ve come to expect, but when you make a dish that calls for sour cream, this product does just fine. Add some to mashed potatoes or a creamy casserole, and you’ll never know the difference. This was one of the first ‘survival’ foods we purchased. Because we had young kids, we wanted to make sure we had plenty of Vitamin D-dense foods. It sounds strange, but it’s actually quite good when it’s reconstituted and chilled. If the grid is down and you want homemade lasagna, that shouldn’t be a problem with this and freeze-dried mozzarella cheese on hand! These 10 unusual foods will go a long way toward letting your family diet stay closer to normal in a disaster. This article has been updated from the original version published on November 4, 2010. These are the ones I really want in my pantry but I am really lacking. I can always seem to spend an extra $20 at the grocery store, but paying $30+ for one 10# can and then shipping is hard. Yeah right getting a bunch at once either! Can you put $5 in a can or envelope every week? If so, then in a few weeks you'll have enough for a #10 can to get you started. Companies like Thrive, have sales through consultants, on and around Black Friday. I saved 30?%. Honeyville just emailed me about 20% off. Thats when I buy. Yeah, I gotta add all of those, exept the TVP– my soy allergy would only allow for occasional Bacos. Anything more than that, and I increasingly risk Bad Reactions. But the rest are all things I need to add. thanks for reminding! I wonder if soybean oil works best in this application? I have some contacts at Honeyville Grain and will ask around. Glad to see the post about FD Cottage Cheese. I was considering this but didn't know if it would be any good when reconstituted. I wanted it to make Lasagna in a grid down situation. Wow, lasagna! You definitely have your sights set higher than I do! I'll have to practice making 'survival lasagna' with all my dehydrated and freeze-dried stuff. Happily, I've got several of these stashed away already – but *never* to the TVP. I adhere to the belief that soy is dangerous and just like HFCS, no "tiny amounts" of poison are acceptable. You mentioned the butter powder reconstitutes & forms well in the fridge – how does it *taste*? We "use what we store and store what we use," so before I buy it, I want to make sure it will taste good. What's your family's verdict? It's hard to know what to think about soy. I have one or two soy-based energy drinks each day and haven't had any weird side effects and am of the mind that anything in nature can't be all bad. I'm not a huge fan of TVP though, that's for sure. It's okay in small amounts but once I had a taco filled with the taco-TVP, and I couldn't get that flavor and texture out of my mind. Kind of like the time I had this one dim sum dish that was wrapped in something I could have sworn was human skin. ewwwwwwwwwwwww!!! I still remember it. Last week I ordered a few cans of soy beans for my long term storage . . . completely unaware of any problems. Please educate me – I may want to send those back! Thanks! I've found the chilled butter to have a milky flavor. If you like salted butter, you might want to add a little bit, to taste. It's more of a spread. You can't melt it like you can real butter. What about canning butter and then you can have all the wonderfulness that is butter…. There is canned butter that you can purchase called Red Feather that I have yet to taste but have only heard good things about. Canning butter is very easy. I found a recipe online and have 31 pints so far. It is supposed to keep well for at least 5 years. Dried Eggs! An absolute must. They aren't great as 'eggs' for breakfast, but they're wonderful for baking. Those complete pancake mixes make too tender cakes with little flavor. Add a couple tablespoons of dried eggs to the dry mix before adding water, and the cakes are supremely better in taste and texture. I never use fresh in baking anymore, and they are great in any home made bread. They can be used in pudding, sauces, meatloaf, etc. They seem pricy, but total out to not too much more than fresh if you figure how may eggs a can represents. Do shop around, prices vary greatly. Barbara, I haven't used dried eggs much simply because fresh are so plentiful and cheap where I live. I probably have about three dozen in my fridge at any given time. Great suggestions for their use, though, and in a power outage, all those eggs in my fridge will be worthless. Eggs keep a surprisingly long time and surprisingly well at room temp. The fresher to start with, the better of course, but fresh eggs on the counter will be fine for up to 3 weeks…. I have heard this but haven't ever tested it out. Where did you find dried eggs? I am new to this and just starting to prepare. Eggs don’t need to be refrigerated unless they are store-bought. When they clean the eggs for packaging they wash off the natural protein protection that all eggs have…making it necessary for the eggs to be refrigerated afterwards. If you harvest your own or buy from a local farmer they don’t need refrigeration. I agree with you 100%. It can't be butter if it doesn't melt. Gee whiz! I have most of them already (not huge amounts, but enough for a start), but not the freeze dried ones. I have been concentrating on getting ingredients more than completed meals. I want to get more TVP. Not fond of it, but we have a bunch of canned things that would be better and more nutritional with some protein added, especially the sloppy joe mixes. I have had freeze-dried meals that also contained a bit of TVP, and it really isn't all that bad when it's an ingredient in a dish, but if you want to avoid soy, then it's not even an option. Freeze-dried 'real' meat and chicken is far better but also more expensive. Have you tried canning your own meats instead of using soy alternatives? I have purchased all of the meat that I can get my hands on cheap and spend the weekend canning. I purchased boneless chicken breast at $1.49 lb last month and purchased all of it I could afford. Also purchased beef sirloin and prepped for the freezer. I will be canning it when I get enough meat and time to get the job done. Ive done ground hamburger. We browned it before pessure cooking it. We open some about six months later. A bit different. Some dont like the texture. We thought it was fine. Chicken should be much easier. I just bought some 5oz cans of chicken with rib meat at Smiths case lot sale. 24 for $24. While I'm "technically against" TVP, I have to admit that it "has it's place". I have two cases of it (from Honeyville Grains) in my long term storage. I can see the benefits…like Liz, sloppy joes, tacos, etc. I've read about avoiding soy and having it, I don't know, but I do eat it, no negative results that I'm aware of. I recently canned butter and it was easy and set up well, was much easier than I expected. what is the storage life of canning your own butter? I think I might like to do this my self. I am still learining the art of canning, and love doing it. can you send me the instructions please? Mary – canning butter is something I am very interested in doing. Any good resources on "how" to can butter? I use powdered butter and eggs in my everyday cooking usually as a dry ingredient. I will reconstitue the eggs and use half and half with fresh eggs-no complaints yet. Use tvp to stretch meat in chili, etc-no one knows but me (smile). Often have wondered about the peanut butter powder. and have never heard of freeze dried cottage cheese. Very interesting! Heat your jelly or 1/2 pint jars or whatever size works for your family in a 250* oven for 15-20 min. While jars are heating, melt the quantity of butter you wish to can and slowly let it come to a boil. Taking only ONE JAR AT A TIME FROM THE OVEN, fill with liquified butter and wipe top of jar. Apply a HOT lid and screw on tightly. Place on a towel covered counter space to cool. Once jars seal (popping sound) shake them frequently as they cool blending solids into the liquid portion again so you don't have a separated product when finished. Sometimes it requires shaking ea jar every 5 min near the end of the cooling process. Once cooled, butter will store for 3 years. Keep in a cool place so butter can "set" – not necessarily the fridge. Butter won't "melt" when opened without refrigeration, but use within a short time to be sure its fresh. It's not recommended that the elderly, young children, and those with weakened immune systems eat butter that has been processed as above. If you want canned butter that will melt (the above method is time-consuming and expensive and makes the butter grainy so it will never melt again) pay for the RED FEATHER canned butter. It looks expensive per can but compare to buying all of the canning supplies and the butter to turn your butter into a waste product that's questionably safe to eat. Search for red Feather Canned Butter. Trust me! I have used canned butter when the gov't used to give away commodities. Thank you for this recipe–I'm anxious to try it, as it seems fairly simple and it could free up my freezer space for higher priority storage. Here's the best part for butter! I thaw a 1 # frozen package of butter at a time, letting it come to room temp. Place in a large mixing bowl and beat with my elect beater till smooth and creamy. I pour this onto my airtight plastic container and put in the fridge when not using it for toast, etc. What you end up with is a "soft" spread that tastes just like butter according to my family. You have less unhealthy fats, nearly double the quantity and saved "butter money" as well. Healthy and frugal. Enjoy! Thanks for the butter tips, Glenda! Having layers of anything, butter included is a good idea: frozen, self-canned, commercially canned, powdered, etc. I have done this for years to stretch the butter useage at my house. It tastes better than commercial soft products and goes farther with the kids because it so much easier to spread, even straight from the fridge. Where can you get shortening powder? I buy shortening powder at Honeyville Farms. Check out their homepage, <a href="http://www.honeyvillegrain.com” target=”_blank”>www.honeyvillegrain.com. Shipping is only about $5. I only shop organic and this food is not. I am also concerned that items such as the dehydrated cheese blend has artificial food colorings. Read up on artificial colorings and then decide if you really want to put that in your body. I am storing whole foods with good shelf life like organic tuna, chicken, salmon etc., organic peanut butter and jam, protein powders, almond and coconut milk, reverse osmosis water, etc. I am not big on processed food with all those additives. It sounds so simple and easy Victoria. Thanks for sharing your ideas. This year our company is providing a fried turkey for thanksgiving. I was thinking I could can the turkey meat slices but wonder with the canning process, would that overcook the turkey? Maybe freezing or dehydration would be a better option? I see there is a post for canning butter. Is it possible to can margarine? And would you go about it the same way? 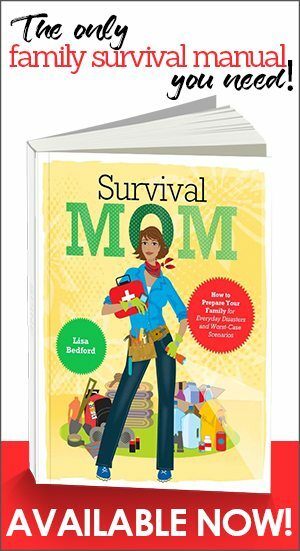 Can you only get these products online? Where would you find them else where. In storing food, is it only dried or canned food. No freezer/refrig. food? Cristine, if you happen to live near a Honeyville Farms store (Utah, southern California, and Phoenix area), you can buy many of those products in person. Most, though, have to be purchased online. Shop around for prices and shipping charges. Maybe even place an order with a friend so you can share the shipping costs. For storage, you'll store both canned and dry foods. We usually don't count what's in the fridge or freezer because so many emergency situations cause power outages. I would also add their #10 cans of bullion powder. (never had the beef) but the chicken is delicious and actually a much better buy than buying regular size containers. Broth or bullion seasoning is something that is. or can be, used in most everything. as for tvp and soy….I have this is my pantry. There are mixed feelings pro and con regarding soy. 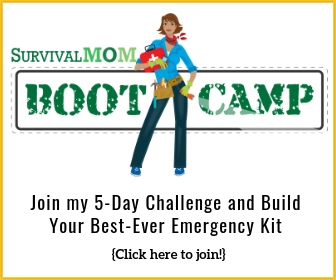 My personal feeling is that if I am ever in a true survival type situation that for whatever reason has made feeding my family difficult, I’m going to be glad for whatever I have, and tvp is a cost effective way of adding variety to your pantry. I used some tvp sausage last weekend to make biscuits and gravy. YUMM. also a good way for vegetarians among us to enjoy some typically meat dishes. While I prefer freeze-dried meat over TVP, I agree with those above who say it has its place. For one, it’s a great way to stretch meals when money’s tight. We use TVP in chili, chicken noodle soup, and added to gravy and spaghetti sauce. 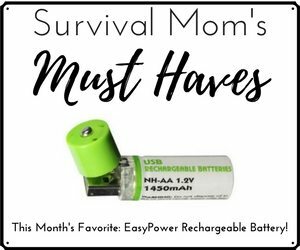 For those who are looking for long-term emergency supplies for feeding a family, I firmly believe that getting several cans of TVP (and learning how to use it) is the way to go. We also routinely use powdered eggs, tomato, cheese, and sour cream. When used as ingredients, no one call tell the difference. I am new at this so In have what many of you will consider a stupid question but like we say in our family a stupid question is easier to handle than a stupid question. Where do you purchase these products??? I mix the butter powder with oil instead of water. I use half olive oil and half coconut oil. This greatly improves the flavor and this mixture of the two oils melts just like regular butter. When you buy powdered peanut butter, be sure that the only ingredient is peanuts. I buy mine online from Grandmother’s Country Foods. For the best taste, I mix it with olive oil instead of water. Why not use peanut oil? For all the people wondering about canning butter: please don’t. It’s not safe. Not worth risking food poisoning or worse, especially in a situation where the grid’s down and everything’s challenging already. You can greatly extend the shelf life of regular shortening by repackaging in Mason jars and vacuum packing it using a Food Saver (or similar appliance). Shortening USED to come in metal cans with a shelf life of about 10 years but now is packaged in foil-lined cardboard which tends to leak. I bought some powdered before I knew about home dry-packing, but that is, as you say, just another layer. Always a good thing! It works very well in all baking applications that I’ve tried. 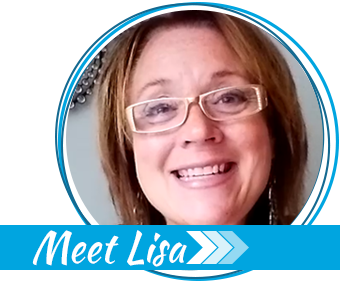 I appreciate your website and all of your encouragement!! In its regular packaging, Crisco becomes rancid pretty quickly. Back in the day, it was packaged in metal containers which helped prolong shelf life. If you want to store shortening, buy it and then pack it into canning jars. Press out all air pockets and then use a jar sealer attachment with a Food Saver and vacuum out all the air. This can add years to the shelf life.